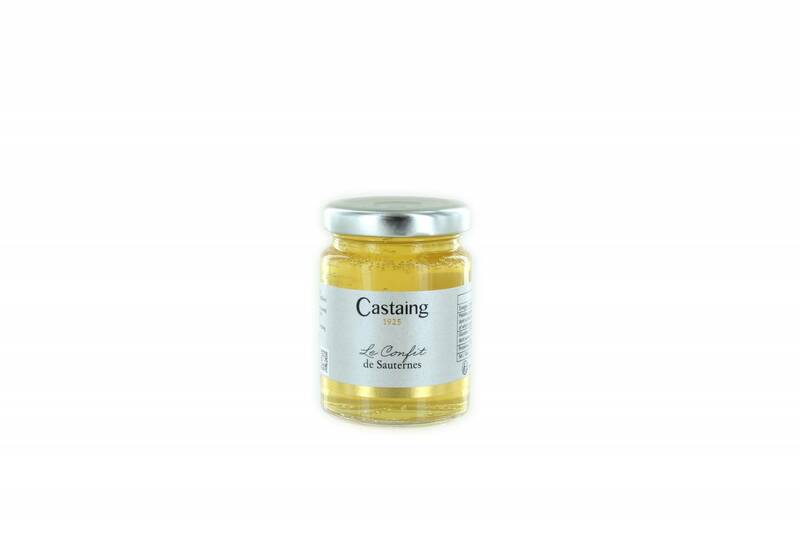 A very finely flavoured sauternes wine jelly to go with foie gras. Sweet, but not overly, the flavour of wine shines through and is wonderfully balanced. Storage: Can be stored in a cupboard. Once open store in a fridge and consume within one week. Sauternes (50%) (contains sulphites), fruit sugars, cane sugar, gelling agents (pectin). Enjoy served cool alongside foie gras of oyur choice.